Scientists have found evidence to support what many dog owners have long believed. Man's best friend really does understand some of what we're saying. 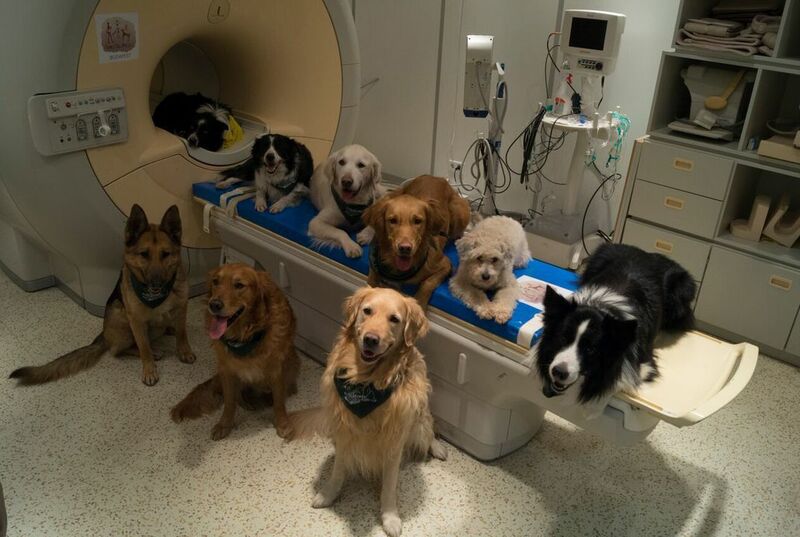 Researchers in Hungary scanned the brains of dogs as they were listening to their trainer speaking. This was to determine which parts of the brain they were using. They found that dogs processed words with the left hemisphere of their brain. Meanwhile, intonation was processed with the right hemisphere. That is just like humans. What's more, the dogs only registered that they were being praised if the words and intonation were positive. Meaningless words spoken in an encouraging voice, or meaningful words in a neutral tone, didn't have the same effect. "Dog brains care about both what we say and how we say it," said lead researcher Attila Andics, a neuroscientist at Eotvos Lorand University. It is in Budapest. "Praise can work as a reward only if both word meaning and intonation match." Dogs, on the other hand, have socialized with humans for thousands of years. That means they are more attentive to what people say to them and how. Andics also noted that all of the dogs were awake, unrestrained and happy during the tests. "They participated voluntarily," he said. Why do dogs have an interest in human speech? In response that dogs can understand things we say. I agree because when tell a dog to roll over it does if its trained. One reason I agree is because dogs are like humans they are mammals they do everything we do. Another reason is because depending how we treat or talk to dogs depends on how they would react. Its says in the article "They found that dogs processed words with the left hemisphere of their brain. Meanwhile, intonation was processed with the right hemisphere. That is just like humans. "A third reason is that dogs are very smart because the way the process things in their brain. Even though it took scientist this long to confirmed that dogs can understand what us humans are saying this could make my family get a dog. In response to "Scientists Find That Dogs Understand What You're Saying", I agree that dogs understand what its said to them. One reason I agree is that I used to own a dog of my own and whenever I talked to him in a specific tone, he would react in a certain way. Another reason is that many of my friends also own a dog, most of them quickly noted that their dogs do listen when spoken to them. Some people would argue with this because their dog does not fully understand them but that's because, as said in the article, "dogs don't necessarily understand the exact words you say but the tone you use". I also agree with the project itself, I believe dogs enjoy the attention given to them during the process "...All of the dogs were awake, unrestrained and happy during the tests" Andics noted during the experiment. Even though some dogs refuse to obey, I think every dog understands their owner. In response to "Scientists Finds that Dogs understand what your saying," I agree that dogs could know what your saying. One reason I agree with this is in the article it states that "the dogs only registered that they were being praised if the words and intonation were positive. Meaningless words spoken in an encouraging voice, or meaningful words in a neutral tone, didn't have the same effect". This proves if the tone of your voice is positive the dog will probably think he/she is doing the action or task correctly. In the article, it says they have done research while the dogs guardian was giving commands with different voice tones. This shows evidence of dogs being able to decipher the owners voice tones. Even though people could argue the test is fake or was staged, even with my dog, he could tell a difference between my different voice tones. Dogs have an interest in human speech because they think they are getting praised. I agree with this because dogs are very smart and I think that dogs have the potential to do many things. I also think that it is cool and amazing that dogs will and can listen to you and will think about what you say. Even though they think its meaningless, owners will think that its meaningful and will feel good knowing that their best friend is listening and processing what they are saying. 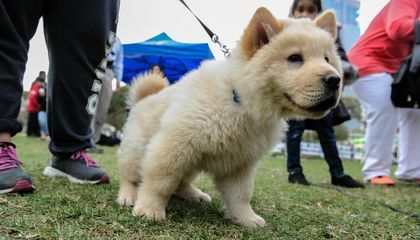 "'Dog brains care about both what we say and how we say it,' said lead researcher Attila Andics, a neuroscientist at Eotvos Lorand University." People have suspected that for a long time but now everyone knows that its true. I think that it's a great thing that dogs know what we are saying even if they don't really care, at least they understand. Dogs I always knew could recognize facial expressions but never have i known they could understand languages. I agree that dogs are smart enough to understand some words, but if they can understand other launguages than that would probably make them one of the smartest species. In response to "Scientists find that dogs understand what you're saying," I think that's extremely interesting. One reason I think this is that is because I never knew that dogs could actually be able to understand you . Another reason is that is to think that all this time my dog could have known what I was saying is really cool. It says in the article that "Reasearchers in Hungary scanned dogs Brian's as they were listening to the trainers speaking. A third reason is I found out that dogs brains actually work a lot like ours do. Even though I currently don't have a dog , I still think that is really cool, and I hope that someday I will be able to test that out on a dog of my own . In response to "Scientist find that dogs understand what you're saying." I think that dogs have an interest in human speech, because dogs have been partnered with humans since thousands and thousands of years ago. Dogs can hear people because they care about how we say it, they use the left half of their brain to process the words, and they have socialized with humans for many years. In response to "Scientist find that dogs undersand what your saying," I agree that dog brains care about both what we say and how we say it. One reason I agree is that sometimes when we say something exciting they'll wag there tail. Another reason is that when we are sad they won't be that wild, they'll understand that we are sad and they'll calm down. It says in the article that dogs have socialized with umans for more than athousand years! A third reason is that it kinda makes since, We hear other people and so can dogs, there brains are kind of like ours with there words process on the left side and ours on the right. Even though we can't understand dogs, I think it's pretty cool that dogs can understand us.